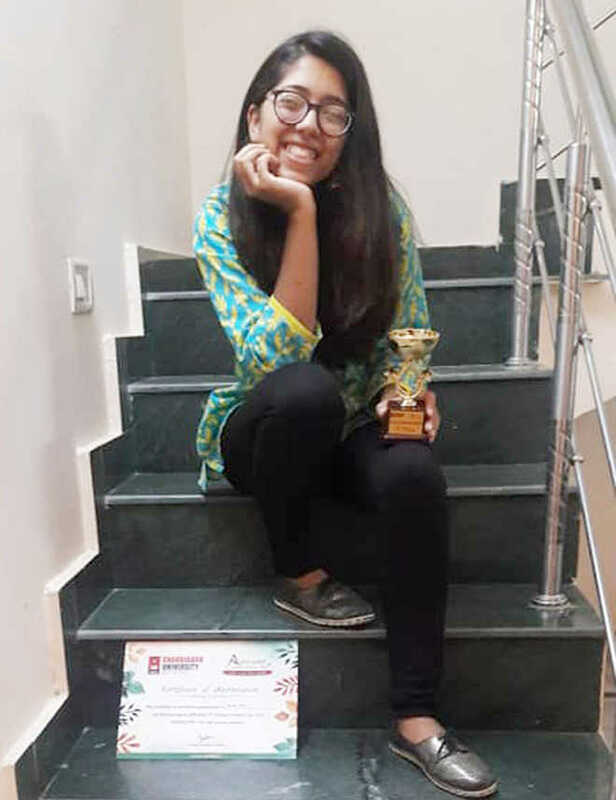 City-based Anmol Bali, a IInd year student of BA Psychology of Apeejay College of Fine Arts, has bagged the third prize in poetry at the “4th National Literary Fest ‘Abhivyakti’ held from October 14 to15 at Chandigarh University. Divulging the details of the fest, Anmol said more than 200 colleges and 150 universities participated in the fest. Around 3,000 students from all over the country participated in the event. She said the fest had literary competitions, panel discussions and book exhibition depicting diverse and rich history of the literature of the country. She said, the subject for the poetry was open, and she was given 30 minutes to pen down her poetry. “I wrote poetry on the recent ‘MeToo’ movement, going on in the city, taking stand on the point that not all men are same,” she added. Anmol stated her feelings of being around with the men who are caring and protective at the same time. She said, with ‘Me Too’ movement there had been debates on the internet where men were being blamed and their intentions were being judged. “But me and even in my opinion many girls, believe that all men are not same. People have their own character and one should not be judged for anyone,” she added.